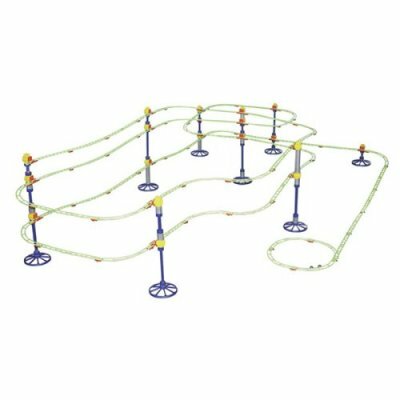 Design and construct your own roller coaster with this Skyrail marble coaster set. 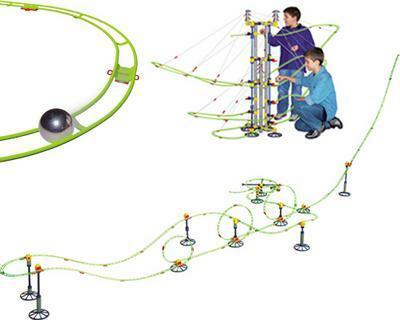 It teaches the basic principles of mechanics and physics, such as gravity, speed, inertia and weight. 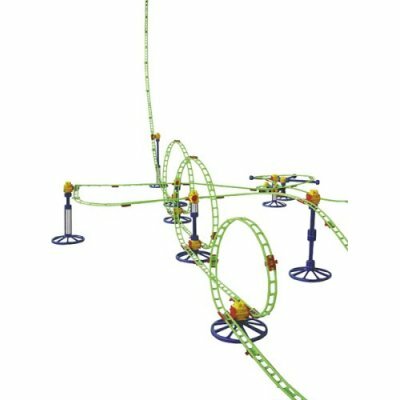 Building the coaster is really fun, and then you get to watch the marbles race down and around over 40' of track! Imported. Set includes 250 pieces.